Houston Cardio Kickboxing classes here at GB Westchase, provide a fun and different approach to getting in an amazing workout! These classes are high energy and faster paced than some of the more instructional based programs. 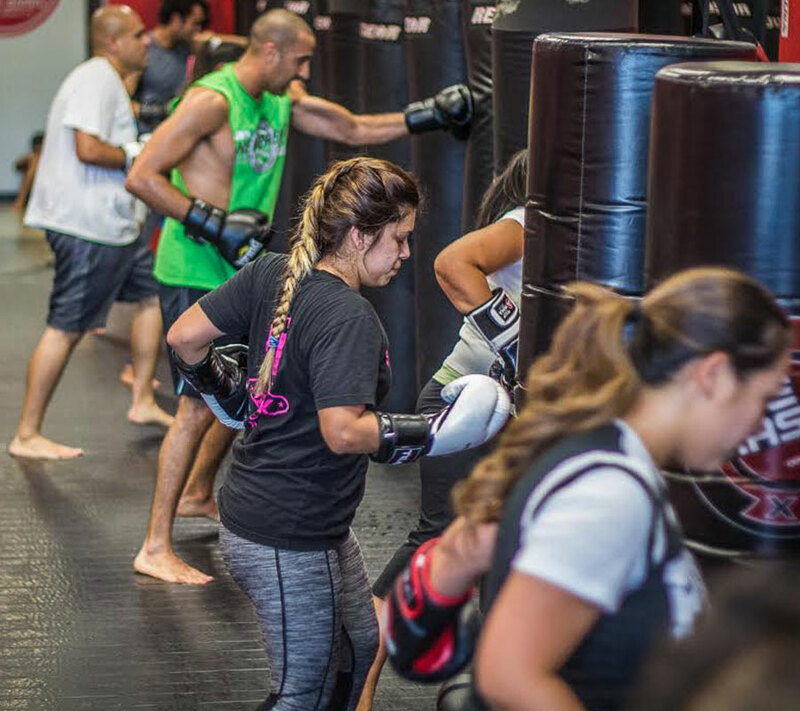 Gracie Barra Westchase provides top Cardio Kickboxing classes in Houston and instructors utilize variations of punching/kicking, calisthenics/body weight exercises, weights and always a great abdominal workout in every class. With these classes offered 7 days per week, many times daily, so you can keep on top of your workouts! 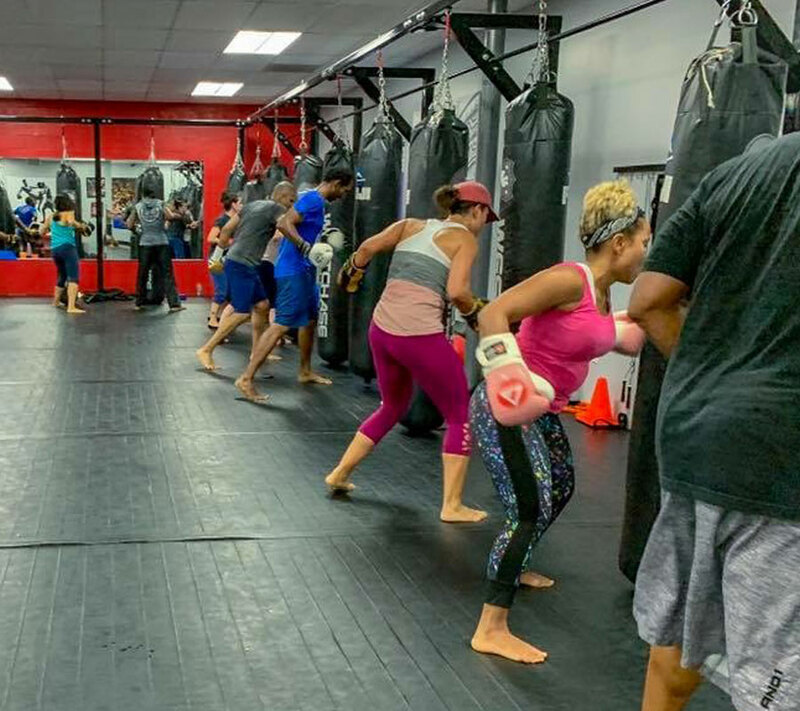 Our Cardio Kickboxing program in Houston is designed to give students of all ages and sizes a full an unparalleled workout, practicing drills and using circuit training to keep your body moving and heart rate up throughout the entire workout. The one-hour Cardio Kickboxing classes begin with light stretches and a cardio warm up. Typical routines include a series of repetitive punches, hand strikes, kicks and other self-defense moves using conventional heavy bags and training pads with a partner, which provide both resistance training and cardiovascular benefits to its participants. Our cardio kickboxing classes here in Houston also include the use of resistance bands, kettle bells, slam balls, battle ropes, jump rope and free weights to give you the best, most well rounded cardio kickboxing workout you’ll find in Houston! The kicks play a big role in strengthening the legs. This is especially true when it comes to the thigh and hamstring muscles. There are different knee moves in cardio kickboxing which help to firm abdominal muscles. These also help the torso to be a straight and solid base. When it comes to the upper body, these are what can help shape the back and shoulders. Performing these punches and jabs can help strengthen and tone shoulder and back muscles. Performing the kicks and punches with appropriate power and precision will help to strengthen not just the lower body, but the upper body as well. 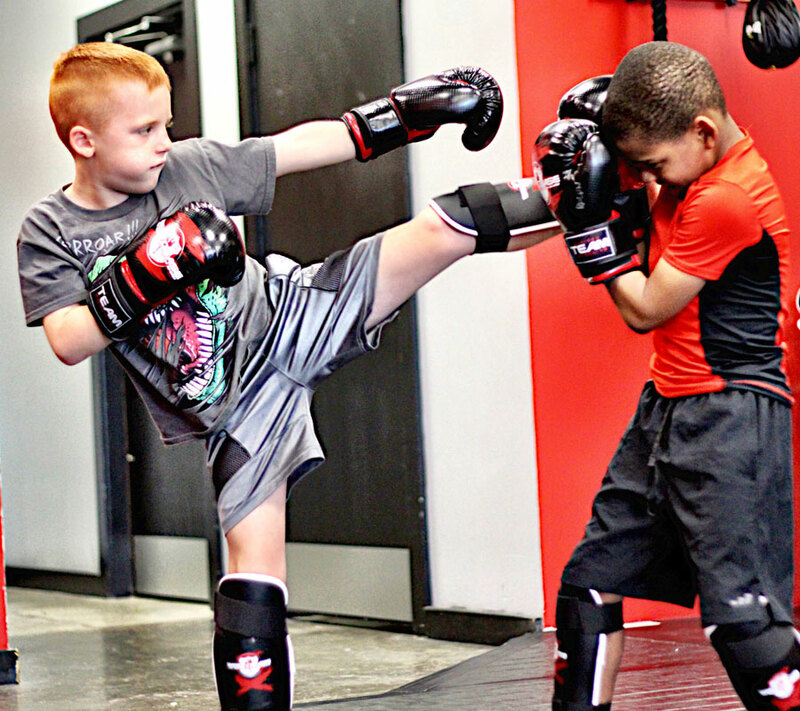 Cardio kickboxing also involves a lot of jumping, twists and turns. This ensures that the whole body is put through a rigorous workout. Besides burning calories, it also increases muscle definition in almost all areas of the body.